Jordan Classic 99 Men's, Cool Grey, Size S M, 17182035. 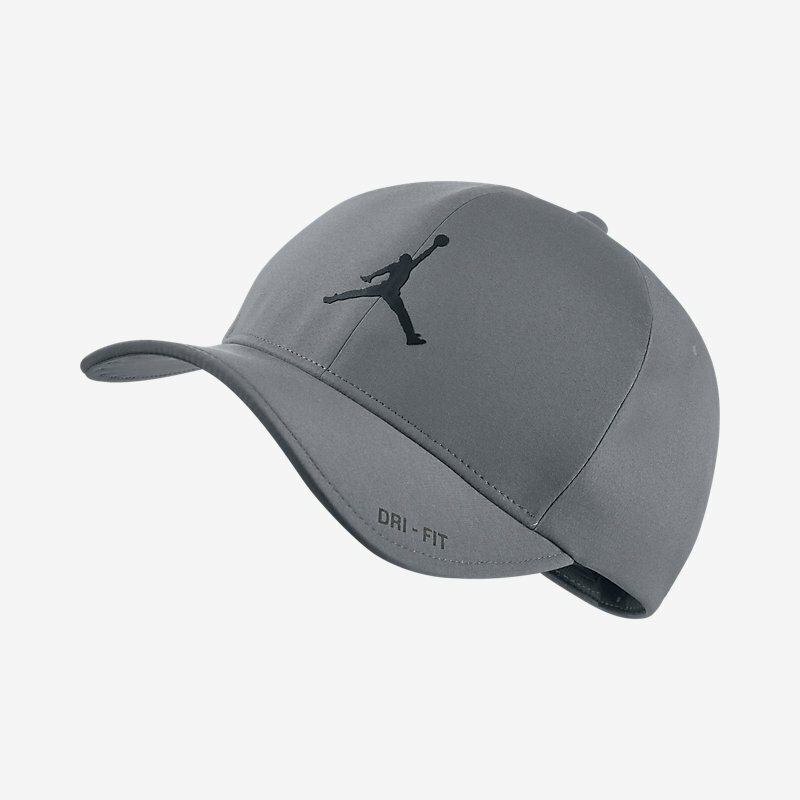 Contoured comfort: The Jordan Classic 99 Fitted Hat features sweat-wicking fabric in a contoured silhouette for formfitting comfort., Benefits: Dri-FIT Technology helps keep you dry and comfortable, Fitted design contours to your head for comfort, Six-panel profile with durable interior taping, Embroidered eyelets for breathability, Product details: Fabric: Body bill: Dri-FIT 95% polyester 5% elastane. Back of front panel: Dri-FIT 90% polyester 10% cotton., Hand wash, Imported: .